Looking to revamp your old boat? 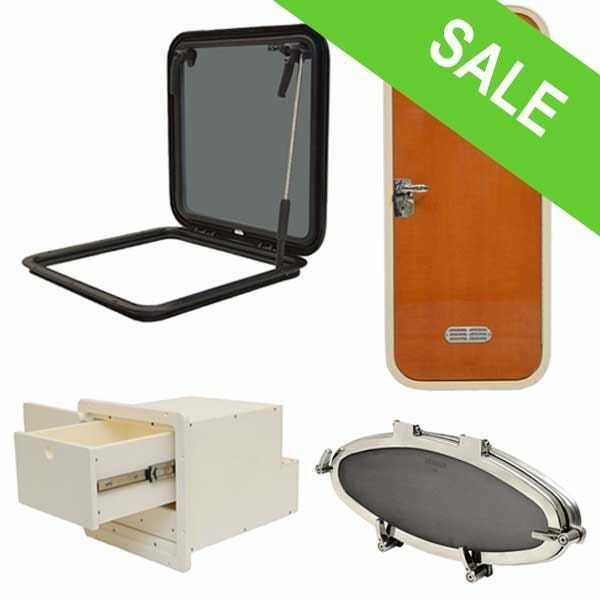 Then shed a little light on the matter with our great selection of boat portlights and port windows. Nothing brightens up a room like a fresh burst of sunshine! Looking for something a little larger? We offer ventilation hatches and escape hatches in a variety of shapes and sizes. Replace your old inspector plates and deckplates or add a little storage space with our great selection of storage boxes. Whatever you need, Great Lakes Skipper has you covered!